At his Oak Park & North Riverside based practice, Dr. Lyndon Taylor has helped many women suffering from chronic pelvic pain. 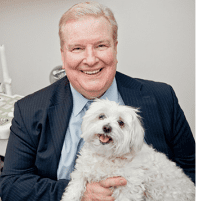 Highly regarded by many of his patients as one of the leading specialists for women’s health, Dr. Taylor welcomes patients in Chicago, Illinois and the surrounding areas. In order to determine the nature of the pelvic pain, an examination and a frank discussion with your doctor about your symptoms will be done first. Based on the findings of the examination your doctor will be able to recommend a variety of treatments that are best for you. If you are concerned about any type of pelvic pain, it is best to consult a physician before the condition worsens.